The cardinal doctrine of a fanatic's creed is that his enemies are the enemies of God. 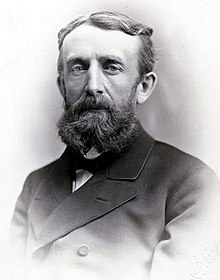 Andrew Dickson White (November 7, 1832 – November 4, 1918) was an American diplomat, author, and educator who was the co-founder and first president of Cornell University. My purpose in writing these essays has been to acquaint men who are interested in the bearings of modern history on public life with sundry statesmen whose time was devoted not to seeking office or to winning a brief popular fame by chicanery or pettifoggery, but to serving the great interests of modern states and, indeed, of universal humanity. I would present these statesmen and their work as especially worthy to be studied by those who aspire to serve their country in any way. My early years abroad were spent mainly upon the European Continent, and public duties since have led me to make prolonged stays in various Continental states—France, Germany, the Netherlands, Italy, Russia—where the study of Continental statesmen has been almost forced upon me. Carlyle uttered a pregnant truth when he said that the history of any country is in the biographies of the men who made it. A thoughtful historian tells us that, between the Middle Ages and the nineteenth century, Italy produced three great men. As the first of these, he names Machiavelli, who he says, "taught the world to understand political despotism and to hate it"; as the second, he names Sarpi, who "taught the world after what manner the Holy Spirit guides the Councils of the Church"; and as the third, Galileo, who "taught the world what dogmatic theology is worth when it can be tested by science." He [Paolo Sarpi] was one of the two foremost Italian statesmen since the Middle Ages, the other being Cavour. His [Sarpi's] career soon revealed another cause of his return; he evidently felt the same impulse which stirred his contemporaries, Lord Bacon and Galileo, for he began devoting himself to the whole range of scientific and philosophical studies, especially to mathematics, physics, astronomy, anatomy, and physiology. In these he became known as an authority, and before long was recognized as such throughout Europe. It is claimed, and it is not improbable, that he anticipated Harvey in discovering the circulation of the blood, and that he was the forerunner of noted discoverers in magnetism. Unfortunately the loss of the great mass of his papers by the fire which destroyed his convent in 1769 forbids any full estimate of his work; but it is certain that among those who sought his opinion and advice were such great discoverers as Acquapendente, Galileo, Torricelli, and Gilbert of Colchester, and that every one of these referred to him as an equal, and indeed as a master. Of all tyrannies of unreason in the modern world, one holds a supremely evil preeminence. It covered the period from the middle of the sixteenth century to the middle of the seventeenth, and throughout those hundred years was waged a war of hatreds,—racial, religious, national, and personal;—of ambitions, ecclesiastical and civil;—of aspirations, patriotic and selfish;—of efforts, noble and vile. During all those weary generations Europe became one broad battlefield,—drenched in human blood and lighted from innumerable scaffolds. In this confused struggle great men appeared—heroes and martyrs, ruffians and scoundrels: all was anarchic. The dominant international gospel was that of Machiavelli. Into the very midst of all this welter of evil, at a point in time to all appearance hopeless, at a point in space apparently defenseless, in a nation of which every man, woman, and child was under sentence of death from its sovereign, was born a man who wrought as no other has ever done for a redemption of civilization from the main cause of all that misery; who thought out for Europe the precepts of right reason in international law; who made them heard; who gave a noble change to the course of human affairs; whose thoughts, reasonings, suggestions, and appeals produced an environment in which came an evolution of humanity that still continues. Huig de Groot, afterward known to the world as Hugo Grotius was born at Delft in Holland on Easter day of 1583. It was at the crisis of the struggle between Spain and the Netherlands. That struggle had already continued for twenty years, and just after the close of his first year, in the very town where he was lying in his cradle, came its most fearful event, that which maddened both sides—the assassination of William of Orange, nominally by Balthazar Gerard, really by Philip II of Spain. He [Grotius] avoided another danger as serious as his precocity had been. He steered clear of the quicksands of useless scholarship, which had engulfed so many strong men of his time. The zeal of learned men in that period was largely given to knowing things not worth knowing, to discussing things not worth discussing, to proving things not worth proving. Grotius seemed plunging on, with all sails set, into these quicksands; but again his good sense and sober judgment saved him: he decided to bring himself into the current of active life flowing through his land and time, and with this purpose he gave himself to the broad and thorough study of jurisprudence. A new danger now beset him [Grotius],—the danger of becoming simply a venal pleader, a creature who grinds out arguments on this or that side, for this or that client:—a mere legal beast of prey. Fortunately for himself and for the world he took a higher view of his life-work: his determination clearly was to make himself a thoroughly equipped jurist, and then, as he rose more and more in his profession, to use his powers for the good of his country and of mankind. There was strong warrant for pretensions... As far back as 1493, Pope Alexander VI had settled disputes between Spain and Portugal arising out of their rivalry in the Orient and the Occident by drawing a line from pole to pole one hundred leagues west of the Azores, giving all west of it to the Spanish, all east of it to the Portuguese. Both these nations attempted more or less persistently to exercise the sway thus given over the oceans as well as over the continent. The Portuguese forbade under heavy penalties any person, whether native or alien, to pass through the waters off the African and Brazilian coasts without special permission; the Spanish were hardly less severe toward those who without leave approached their dependencies. But, though the realization of the earth's rotundity renewed the old difficulty, and Spain and Portugal discovered that the Papal decision was futile, since all their new dominions could be approached both from the east and the west, both nations continued to maintain, as best they could, their sovereignty over the vast oceans. Other nations followed these examples. Against all these assertions Grotius published to the world a demonstration that no such rights could exist. His whole argument was mainly a development of two postulates. The first of these was that the right of nations to communicate with one another had been universally recognized; that it was based on a fundamental law of humanity; that the liberty of the sea being necessary to enable nations to communicate with one another, it could not be taken away by any power whatever. The second was that every attempt to make an ocean highway a monopoly of any single nation is forbidden by the immensity of the sea, its lack of stability, its want of fixed limits. This argument in places seemed thin. The book [Mare Liberum], after the custom of the time, was filled with an array—far more than sufficient—of learned citations; but its most significant feature—that which went to make it the herald of a new epoch—was that it took its stand upon the inalienable rights of mankind,—that it mainly deduced these rights neither from revelation nor from national enactments, but from natural law as ascertained by human reason. The work of this young professor (Thomasius) and his disciples was to dethrone the heavy Protestant orthodoxy which had nearly smothered German patriotism, to undermine the pedantry which had paralyzed German scholarship, to substitute thought for formulas, to bring right reason to bear upon international and municipal law, to discredit religious intolerance, to root out witchcraft persecution and procedure by torture from all modern codes, and to begin that emancipation, of public and especially university instruction from theological control, which has given such strength to Germany, and which today is invincibly making its way in all other lands, including our own. Even before Melanchthon sank into his grave, he was dismayed at seeing Lutheranism stiffen into dogmas and formulas, and heartbroken by a persecution from his fellow-Protestants more bitter than anything he had ever experienced from Catholics. The theologians who took up the work which the first reformers had laid down soon came to consider intolerance as a main evidence of spiritual life: erelong they were using all their powers in crushing every germ of new thought. Their theory was simply that the world had now reached its climax; that the religion of Luther was the final word of God to man; that everything depended upon keeping it absolutely pure; that men might comment upon it in hundreds of pulpits and lecture rooms and in thousands of volumes;—but change it in the slightest particle—never. And in order that it might never be changed it was petrified into rituals and creeds and catechisms and statements, and, above all, in 1579, into the "Formula of Concord," which, as more than one thoughtful man has since declared, turned out to be a "formula of discord." TURGOT...I present today one of the three greatest statesmen who fought unreason in France between the close of the Middle Ages and the outbreak of the French Revolution—Louis XI and Richelieu being the two other. And not only this: were you to count the greatest men of the modern world upon your fingers, he would be of the number—a great thinker, writer, administrator, philanthropist, statesman, and above all, a great character and a great man. And yet, judged by ordinary standards, a failure. For he was thrown out of his culminating position, as Comptroller-General of France, after serving but twenty months, and then lived only long enough to see every leading measure to which he had devoted his life deliberately and malignantly undone; the flagrant abuses which he had abolished restored, apparently forever; the highways to national prosperity, peace, and influence, which he had opened, destroyed; and his country put under full headway toward the greatest catastrophe the modern world has seen. The young man [Turgot] destined for an ecclesiastical career was placed within walls carefully designed to keep out all currents of new thought; his studies, his reading, his professors, his associates, all were combined to keep from him any results of observation or reflection save those prescribed: probably, of all means for stifling healthy and helpful thought, a theological seminary, as then conducted—whether Catholic or Protestant, Jewish or Mohammedan, was the most perfect. The greatness of Turgot now began to appear: while he performed all the duties of the seminary and studied thoroughly what was required, he gave himself to a wide range of other studies, and chiefly in two very different directions—to thought and work upon those problems in religion which transcend all theologies, and upon those problems in politics which are of vast importance in all countries, and which especially needed discussion in his own. The French philosophy of the eighteenth century was in full strength. Those were the years in which Voltaire ruled European opinion, and Turgot could not but take account of his influence. Yet no one could apparently be more unlike those who were especially named as the French philosophers of the eighteenth century. He remained reverential; he was never blasphemous, never blatant; he was careful to avoid giving needless pain or arousing fruitless discussion; and, while the tendency of his whole thinking was evidently removing him from the orthodoxy of the Church, his was a broader and deeper philosophy than that which was then dominant. His [Turgot's] first important literary and scholastic effort was a treatise On the Existence of God. Few fragments of it remain, but we are helped to understand him when we learn that he asserted, and to the end of his life maintained, his belief in an Almighty Creator and Upholder of the Universe. It did, indeed, at a later period suit the purposes of his enemies, exasperated by his tolerant spirit and his reforming plans, to proclaim him an atheist; but that sort of charge has been the commonest of missiles against troublesome thinkers in all times. He [Turgot] now, in 1749, at the age of twenty two, wrote... a letter which has been an object of wonder among political thinkers ever since. Its subject was paper money. Discussing the ideas of John Law, and especially the essay of Terrasson which had supported them, he dissected them mercilessly, but in a way useful not only in those times but in these. ...Terrasson's arguments in behalf of unlimited issues of paper had been put forth in 1720. ...and he declared that the material used for bearing the sign of value is indifferent ...and that if a sovereign issues enough of paper promises, he will be able to loan or even to give money in unlimited amounts to his needy subjects. ...without danger of depreciation. ...Terrasson also made the distinction between the note of a business man and notes issued by a government, that the former comes back and must be paid, but that the latter need not come back and can be kept afloat forever by simple governmental command, thus becoming that blessed thing—worshiped widely, not many years since, in our own country—"fiat money." This whole theory [of John Law and Jean Terrasson], as dear to French financial schemers in the eighteenth century as to American "Greenbackers" in the nineteenth, had resulted, under the Orleans Regency and Louis XV, in ruin to France financially and morally, had culminated in the utter destruction of all prosperity, the rooting out of great numbers of the most important industries, and the grinding down of the working people even to starvation. Turgot's attempt... showed how the results that had followed Law's issues of paper money must follow all such issues. As regards currency inflation, Turgot saw that the issue of paper money beyond the point where it is convertible into coin is the beginning of disaster—that a standard of value must have value, just as a standard of length must have length, or a standard of capacity, capacity, or a standard of weight, weight. He showed that if a larger amount of the circulating medium is issued than is called for by the business of the country, it will begin to be discredited, and that paper, if its issue be not controlled by its relation to some real standard of value, inevitably depreciates no matter what stamp it bears. Turgot developed his argument [on currency inflation] with a depth, strength, clearness, and breadth, which have amazed every dispassionate reader from that day to this. It still remains one of the best presentations of this subject ever made; and what adds to our wonder is that it was not the result of a study of authorities, but was worked out wholly from his own observation and thought. Up to this time there were no authorities and no received doctrine on the subject; there were simply records of financial practice more or less vicious; it was reserved for this young student, in a letter not intended for publication, to lay down for the first time the great law in which the modern world, after all its puzzling and costly experiences, has found safety. Refusing to heed his argument the French people had again to be punished more severely than in John Law's time: the over-issue of assignats and mandats during the Revolution came forty years after his warning; and paper money inflation was again paid for by widespread bankruptcy and ruin. Footnote - For a short account of the Assignats and Mandats of the French Revolution, see Fiat Money Inflation in France, How it Came, What it Brought, and How it Ended by Andrew D. White (New York: D. Appleton & Co. 1896). For similar folly, our own country, in the transition from the colonial period, also paid a fearful price; and from a like catastrophe the United States has been twice saved in our time by the arguments formulated by Turgot. Persons who clamor for governmental control of American railways should visit Germany, and above all Russia, to see how such control results. In Germany its defects are evident enough; people are made to travel in carriages which our main lines would not think of using, and with a lack of conveniences which with us would provoke a revolt; but the most amazing thing about this administration in Russia is to see how, after all this vast expenditure, the whole atmosphere of the country seems to paralyze energy. A change had indeed been brought by the emancipation of the serfs, but there was little outward sign of it. The muzhik remained, to all appearance, what he was before: in fact, as our train drew into St. Petersburg, the peasants, with their sheepskin caftans, cropped hair, and stupid faces, brought back the old impressions so vividly that I seemed not to have been absent a week. The old atmosphere of repression was evident everywhere. I had begun my experience of it under Nicholas I, had seen a more liberal policy under Alexander II, but now found a recurrence of reaction, and everywhere a pressure which deadened all efforts at initiating a better condition of things. I was... told by a person who had known him [future Emperor Nicholas II] intimately from his childhood, that, though courteous, his main characteristic was an absolute indifference to most persons and things about him, and that he never showed a spark of ambition of any sort. This was confirmed by what I afterward saw of him at court. He seemed to stand about listlessly, speaking in a good-natured way to this or that person when it was easier than not to do so; but on the whole, indifferent to all which went on about him. After his accession to the throne, one of the best judges in Europe, who had many opportunities to observe him closely, said to me, "He knows nothing of his empire or of his people; he never goes out of his house, if he can help it." This explains in some degree the insufficiency of his program for the Peace Conference at The Hague and for the Japanese War, which, as I revise these lines, is bringing fearful disaster and disgrace upon Russia. The British ambassador was Sir Robert Morier. He too was a strong character, though lacking apparently in some of General [der Infanterie] von Schweinitz's more kindly qualities. He was big, roughish, and at times so brusque that he might almost be called brutal. When bullying was needed it was generally understood that he could do it con amore. The British representative was an ambassador, and had a spacious, suitable, and well-furnished house in which he could entertain fitly and largely, and to which the highest Russian officials thought it an honor to be invited. The American representatives were simply ministers; from time immemorial had never had such a house; had generally no adequate place for entertaining; had to live in apartments such as they might happen to find vacant in various parts of the town—sometimes in very poor quarters, sometimes in better; were obliged to furnish them at their own expense; had, therefore, never been able to obtain a tithe of that social influence, so powerful in Russia, which was exercised by the British Embassy.